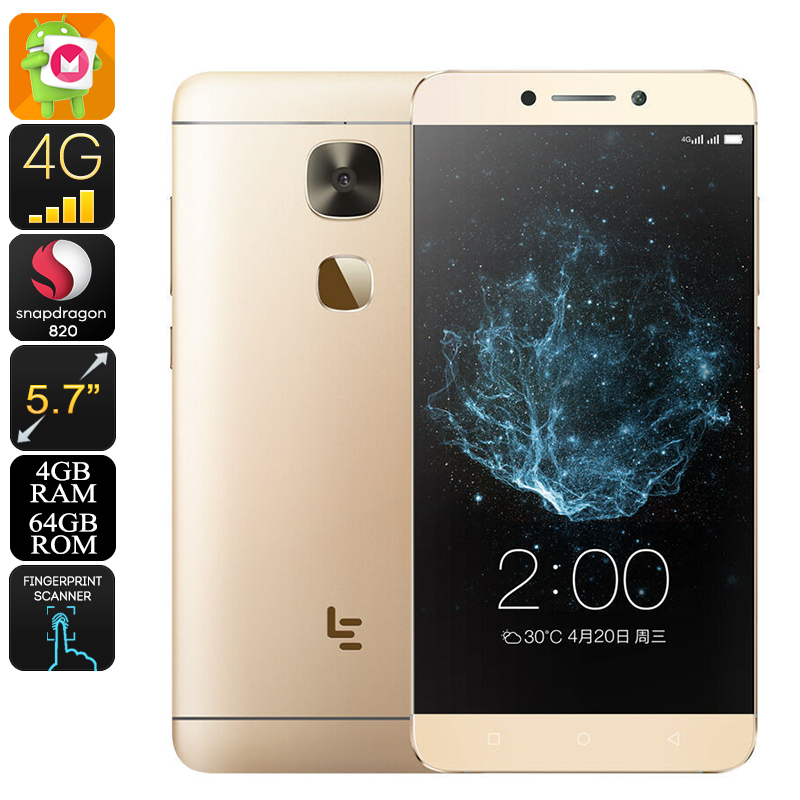 Successfully Added HK Warehouse LeEco LeTV Le Max 2 Android Phone - Android 6.0, Snapdragon 820 CPU, 4GB RAM, 2K Display, 21MP Cam (Gold) to your Shopping Cart. With its 5.7 Inch 2K display, the Le Eco Le TV Max 2 offers a mobile entertainment experience like never before. Enjoy your favorite movies, play games, or simply browse the web – by delivering vivid color and stunning detail, you’ll be able to undergo a truly cinematic experience from the palm of your hand. Running on an Android 6.0 operating system, this Android phone offers a smooth user experience that comes packed with the latest software features. No matter how tough your smartphone demands are, this Android smartphone is guaranteed to meet the liking of anybody out there thanks to its state-of-the-art software and powerful hardware alike. Packing the Qualcomm Snapdragon 820 CPU that has been clocked at 2.15GHz, this mobile phone lets you enjoy the latest movies and most demanding mobile games and applications without dropping a frame. Additionally, this latest Android phone packs 4GB RAM, opening up the doors for excessive multitasking sessions without you needing to worry about slowing down your device. Play games, watch movies, and enjoy multiple of the phone’s features at once – there is nothing that this powerful smartphone can’t handle. By supporting 64GB of internal storage, you can be assured that there’ll always be some space left available for you to save all your movies, games, and files alike. Supporting Dual-IMEI numbers, this Android mobile phone lets you be connected to two network providers simultaneously – bringing along great efficiency for those that often travel abroad or wish to separate their work and private life in one device. 4G network connectivity furthermore lets you browse the web anywhere you go at lightning speeds and with Dual-Band WiFi, you’ll always be able to stream movies and download files in the blink of the eye. No matter where you’ll be heading next, with the Le Eco Le TV Max 2 you’ll always stay connected to your friends, family, and loved ones back home. At the rear of this Android smartphone, you’ll be able to find a stunning 21MP camera that lets you shoot breathtaking photographs and ultra-HD 4K video of all those special moments in life. With this Android mobile phone at your side, you’ll always be able to carry along a professional-grade camera and shoot mesmerizing images anywhere you go. Additionally, it also packs a sharp 8MP front snapper, perfect for all selfie lovers out there or anybody that likes to engage in online video calls with friends and family. The Le Eco Le TV Max 2 comes with a 12 months warranty, brought to you by the leader in electronic devices as well as wholesale electronic gadgets..